Litfuse Review: Tying the Knot by:Rob Green | A Simple Life,really?! I like to think of myself as a pro at this marriage thing but the truth is, that after 21 years of marriage I learn something new about my better half each day. It is never effortless! And I think that is a lie straight from the devil himself. I hope no one ever gets married and decides well the hard part is over because that is simply not true, at all. It is something that you will have to work on for the rest of your life. 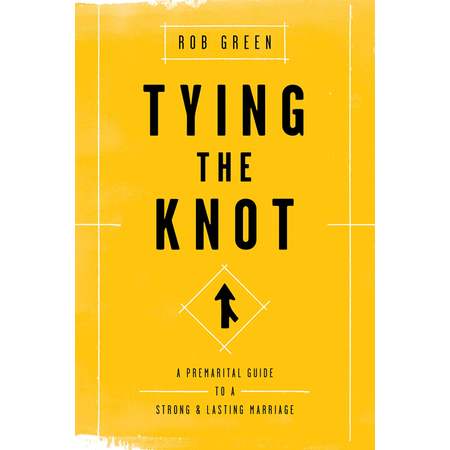 Tying the Knot by:Rob Green is a great way to sharpen up your skills at this marriage thing and learn to apply some of it to an already strong marriage or to apply it to one you would like to strengthen. Based entirely on scripture the author talks about the Biblically based role of each individual according to God’s word. My husband and I say that our marriage is a marriage of 3 and the author definitely plays on that idea and he thoroughly discusses the real meaning of love on God’s terms. I loved the book! It is a quick read and it is a really good guide for nurturing a good Biblically based marriage! **Disclosure** This book was sent to me free of charge for my honest review from the author.